Perhaps the most startling revelation about hospitals is the degree to which they imperil patient safety. Allow me to share a few tales—including one that I personally witnessed. Harvard-affiliated teaching hospitals symbolize the strength of American medicine. [i] Among these giants, one in particular stands out—Massachusetts General Hospital. It was here, in 1846, that the public witnessed the miracle of the first painless surgery performed under anesthesia. There have been many firsts at Mass General—often bringing renewed promises of life where before there had been little hope for desperately ill patients. But like all hospitals, Mass General has witnessed its share of tragedies, including ones that were avoidable. In the tough world of television production, there are also giants, and Trevor Nelson was well on his way to becoming one. Though only thirty-four years old, he had already made his mark in the industry as a producer of the award-winning program 60 Minutes. Though his job was demanding, he always found time for what was most precious—his family. With more than eighty-five thousand visits per year, Mass General’s ER bustles like a small city. The seasoned staff, who are accustomed to treating major trauma, not “mere” headaches, saw no reason for undue alarm. In fact, after a number of hours had passed, they suggested that Maggie return home to care for the boys. Reluctant to leave, Maggie finally acquiesced, accepting the staff’s promises that her husband would be fine. But Trevor was not fine. Diagnosed with non-life-threatening viral meningitis, Nelson was admitted to the hospital. During the course of his visit, he was given a plethora of powerful drugs to alleviate his intractable headache—purportedly including more than twelve doses of narcotics in fifteen hours. [iii] Early the next morning, when nurses came to check on him, they discovered he had no vital signs. Though placed on life support, Trevor Nelson would never recover . . . and nor would his family from their epic loss. Was his death attributable to a fatal combination of drugs that suppressed the central nervous system, as the family alleges . . . and was thus avoidable? That question would be determined by a jury. There’s nothing esoteric about an electrocautery. The device has been a fixture of virtually all operating rooms for nearly a century. As its name implies, electrocautery can be used to stem the flow of blood during surgery through cauterization of tissues and blood vessels. It can also be used to make an incision. In most situations it is both safe and invaluable. There are exceptions, however, as “Mary,” an eighteen-year-old patient undergoing emergency surgery for a ruptured appendix, was about to find out. As Mary was being prepared for surgery, her skin was treated first with iodine and then with an alcohol compound known as spirit. The initial incisions were made, and as the operation progressed, the surgeon began to cauterize the surgical site. Following is an account of what happened next. Heparin is an extremely potent drug used to thin a patient’s blood as a preventative for strokes and other adverse events. It is commonly used in neonatal intensive-care units (NICUs) to keep the IV lines open in premature babies. The drug can be lifesaving when properly administered and lethal when given in the wrong dose. On September 16, 2006, tragedy struck the NICU at Indianapolis-based Methodist Hospital, part of the Clarian health system (now IU Health). It began with a silent but deadly error—when vials of heparin containing adult doses of the drug were delivered inadvertently to the NICU by an experienced pharmacy tech. [vii] With tens of thousands of prescriptions being filled each day by Clarian pharmacists, it simply slipped through the cracks. Though there were numerous times when the error might have been identified, no one caught it before the drugs were administered. As a result, six babies received a dose of heparin that was one thousand times more powerful than prescribed. [viii] Three of the babies died. Three were injured. As a consultant to the organization, I witnessed this tragedy unfold, albeit at some distance. I saw the ensuing anguish that cascaded through the organization. Everyone was heart-broken, as, of course, were the families of those tiny children. The children were gone, and there was nothing the team at Clarian could do to change that fact. But, much to the credit of Clarian’s administrative and physician leadership, they immediately went public with the painful truth behind the tragedy, promising that these tiny lives would not be sacrificed in vain. The team then devoted themselves to identifying and fixing the systemic breakdowns within their hospitals so that such tragedies would not be repeated. Desiree Wade was full of life. As a four-year-old girl, she dreamed of being a ballerina—dreams that helped shield her from the difficult reality of life in Harlem and brought joy into her life. When doctors suggested to her mother, Beverly, that Desiree needed a tonsillectomy, she assumed it was a minor operation with few risks. And she was right, in terms of statistical averages, but not in terms of the one outcome that mattered most to her—her precious daughter’s health. Desiree began to show symptoms of a problem the day after what appeared to have been an unremarkable surgery. Seventy-two hours later, Desiree was hemorrhaging massive amounts of blood from her mouth, dying shortly thereafter in her mother’s arms. [ix] A beautiful life, a mother’s hopes and dreams, cut tragically short by a surgical complication arguably due to a poorly trained provider. In August 2013, CNN broke a story regarding the University of Toledo Medical Center. [x] According to reporter John Bonifield, patient Sarah Fudzcz was hospitalized for a kidney transplant. Her brother, Paul, was a perfect match. So on August 10 of 2012, Paul underwent surgery to remove one of his kidneys so that it could be transplanted into his sister. As outlined in chapter 1, hospital-induced injuries, illness, and death are a major problem in the United States. The extent of health care’s dirty laundry was fully exposed in 2000, when the Institute of Medicine (IOM) published, To Err Is Human: Building a Safer Health Care System. Headlines across the nation proclaimed that medical errors were now one of the leading causes of death in our nation. This report was akin to Upton Sinclair’s 1906 book, The Jungle, which exposed the ills of the meat-packing industry, resulting in dramatic industry changes over time. Sinclair was a muckraking journalist. The IOM is a distinguished scientific body. If Sinclair could catalyze wholesale change across an industry, could not the IOM? 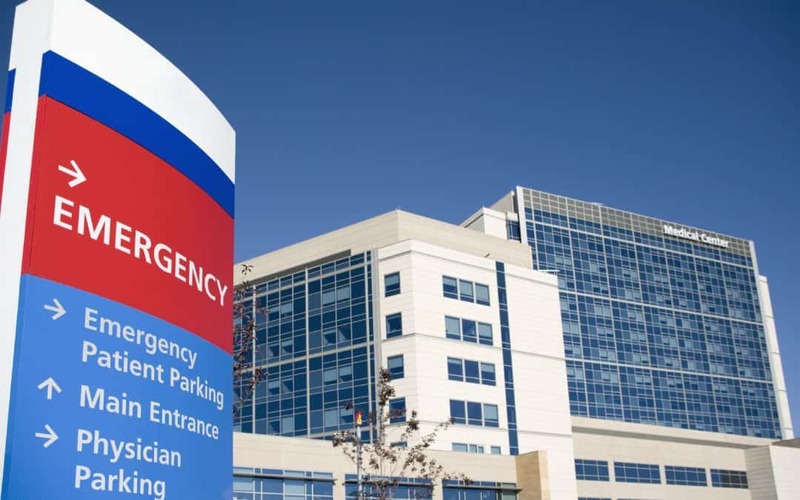 Despite the concussive effects of its initial publication, the IOM report does not appear to be having a dramatic impact on the safety of American hospitals. High rates of errors continue to plague our hospitals, based on the current research. Despite incredible pressure on hospitals to clean up their act, mistakes are still happening at an alarming rate. The May 5, 2013, online edition of the St. Louis Post-Dispatch reported the case of a fifty-three-year-old paralegal named Regina Turner. In the automotive industry, there are extensive warranties on the product you are purchasing in order to provide a safeguard. In health care, not only are there no warranties, but providers stand to profit from the very problems they create through poor quality delivery. [i] “Mass General Hospital Ranked No. 1,” Harvard Medical School, July 17, 2012, http://hms.harvard.edu/news/mass-general-hospital-ranked-no-1-7-17-12. [iii] Olivia VictoriaAndrzejczak, “60 Minutes’ Ace’s Death Echoes of His Own Investigations,” Houston Chronicle, July 30, 2009, http://www.chron.com/news/article/60-Minutes-ace-s-death-echoes-his-own-1747718.php. [iv] Sanjay Marwah and Sham Lal Singla, “Spirit-Induced Cautery Burns: An Unusual Iatrogenic Injury,” Internet Journal of Surgery 22, no. 2 (2010): 1, http://ispub.com/IJS/22/2/9414. [v] Sonya P. Mehta, Sanjay M. Bhananker, Karen L. Posner, and Karen B. Domino, “Operating Room Fires: A Closed Claims Analysis,” Anesthesiology 118, no. 5: 1133-39, doi: 10.1097/ALN.0b013e31828afa7b. [vii] Theodore Kim and Tammy Webber, “Third Baby Dies after Error at Indiana Hospital,” USA Today, September 20, 2006, http://usatoday30.usatoday.com/news/nation/2006-09-20-baby-deaths_x.htm. [ix] Laura A. Fahrenthold, “4-yr.-old Dies after Surgery,” New York Daily News, March 23, 1995, http://www.nydailynews.com/archives/news/4-yr-old-dies-surgery-article-1.688316. [x] John Bonifield, “Ohio Family: Hospital ‘Botched’ Transplant, Threw Out Kidney,” CNN, August 30, 2013, http://www.cnn.com/2013/08/30/health/transplant-kidney-thrown-away/. [xi] Susan Donaldson James, “Toledo Hospital Threw Out Donor Kidney, Now Denies Negligence,” ABCNews, August 29, 2013, http://abcnews.go.com/Health/toledo-hospital-threw-donor-kidney-now-denies-negligence/story?id=20110334. [xii] Sara Bleich, “Medical Errors: Five Years after the IOM Report,” Commonwealth Fund, last modified July2005,http://www.commonwealthfund.org/usr_doc/830_bleich_errors.pdf. [xiv] KiernanWalsheand Stephen M. Shortell, “When Things Go Wrong: How Health Care Organizations Deal with Major Failures,” Health Affairs23, no. 3 (May 2004): [AU: Please provide specific page number. ]107, http://content.healthaffairs.org/content/23/3/103.full. [xvi] Jim Doyle, “Blunders: Botched Brain Surgery Prompts Extensive Review at SSM Health Care,” St. Louis Post Dispatch,May 5, 2013,http://www.stltoday.com/business/local/botched-brain-surgery-prompts-extensive-review-at-ssm-health-care/article_df1f66b8-ba03-5ba1-8e93-ce0cc771f0a5.html.